The Martin County Amateur Radio Emergency Service (ARES) will participate in the annual ARRL Simulated Emergency Test (SET), taking place on the morning of October 6, 2018. The annual fall test gives emergency communicators an opportunity to test their skills and equipment, and identify strengths and weaknesses in providing emergency communications services. A partial deployment of assigned ARES member to certain Martin County shelters, hospitals, and the Emergency Operations Center (EOC) will take place. 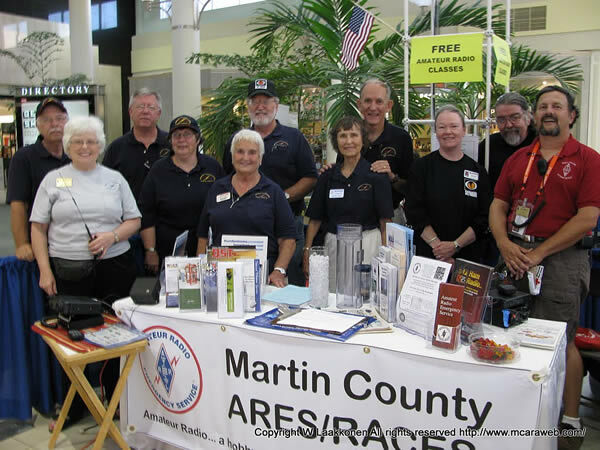 All licensed Amateur Radio operators with an interest in Public Service are welcome to join us on the 145.150 MHz ARES repeater, beginning at 9:00 AM, for a resource net, directed by Steve Marshall WW4RX, the Emergency Coordinator (EC) for Martin County.